I LOVE my Pound shop. It's great. It has everything in it. From food to books, to nail art gems to garden soil. And everything is a £1. You know I love a bargain. This is what I picked up today. I bought these so that I could practice my nail art without having to dry out my cuticles experimenting on my own nails. I like to keep the fake tips I already have for when I need to put an extension on myself or anyone else. I have no intention of wearing these things because they are just so weird...there's already an adhesive on the bed of the plastic nail. The pattern is awful, but I'll be painting over them so it's no big deal. You know how to remove them after wearing? Soak your hands in warm water. Crazy right? If you do wear these, you'd better not get your hands dirty! Yes! More storage, but for £1! Tiny isn't it? I think I may need to pick up a few more at some point. 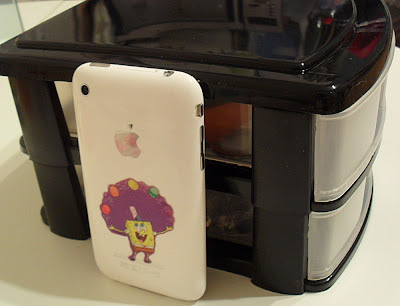 Oh, and yes, my daughter slapped Sponge Bob on my phone one day when I was gossiping with a friend. I'm too lazy to take it off. Plus it looks like I put it there on purpose, lol! One drawer contains a lid from a Body Shop body butter tub. There are a few costume jewellery earrings in there along with a pair of white gold and yellow gold creoles, several silver rings, silver heart pendant and white gold chain. 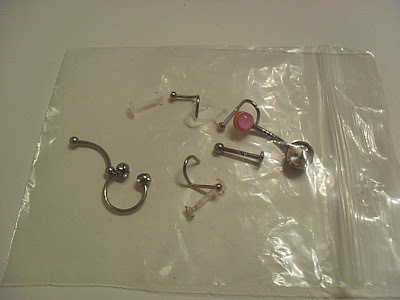 Body jewellery (a labret, bioplast nose and labret retainers, nose studs, banana bars and a hoop-thingy). 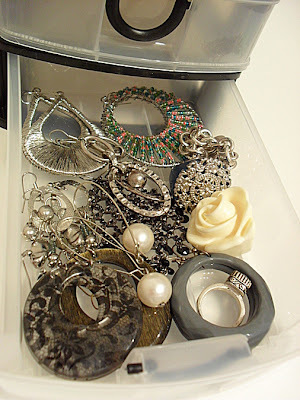 I don't wear them all at the same time - I keep lots of spares because they get lost so often! 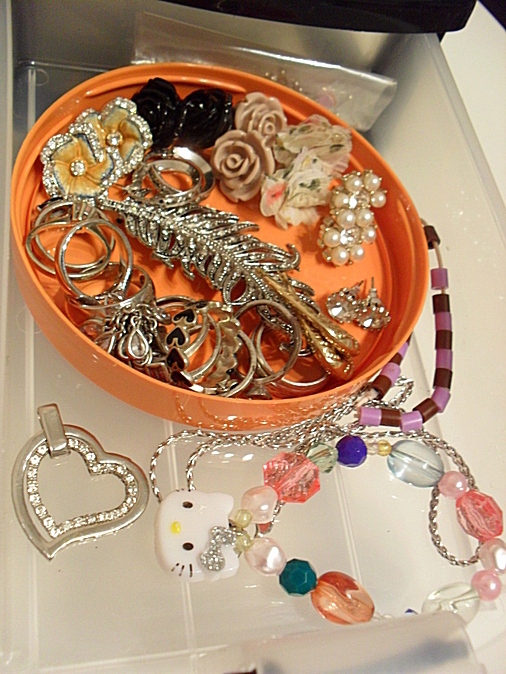 More of my favourite costume jewellery earrings, a few rings and a Tiffany bracelet buried in there too. I have a lot more costume jewellery floating around my flat but they are all in Tupperware boxes or hanging up all over the place. I've been meaning to make a frame to hang my necklaces and the rest of my earrings on, but I haven't got around to it yet. I say YET. When I do it, I'll let you know. I've got them boxes too! 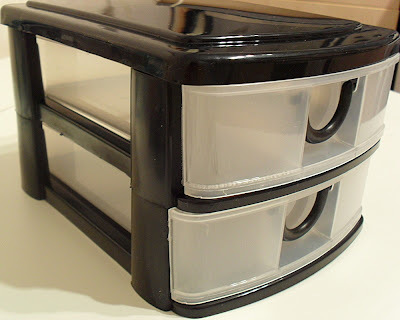 Very handy and I have little baskets from Wilkinsons that I bought for 79p to hold my cosmetics in my draws. Lovely post. I love those stores! Here in Asia we have this Japanese chain called Daiso and it's like your pound store. 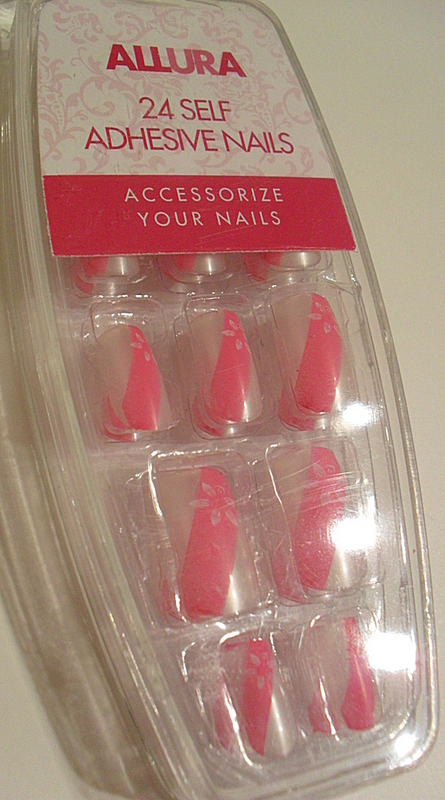 I snagged a box of plain fake nails for only S$2 (about a pound?) and there are 80 nails in there. 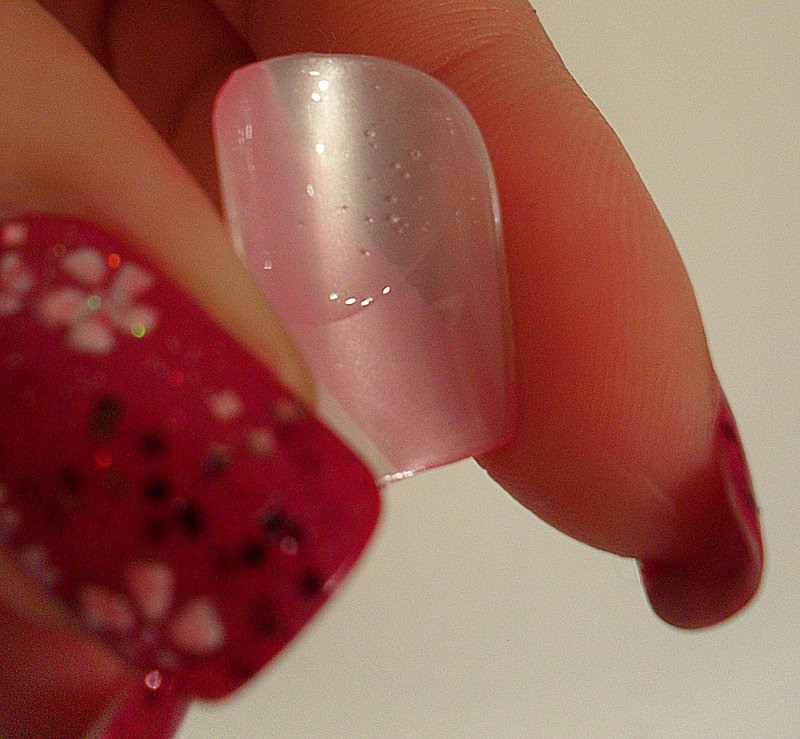 Great for practising nail art, like you said! Oh, I'm organizing a nail art contest for toes (!!!) soon - hope you'll take part! I love things that are a $1. 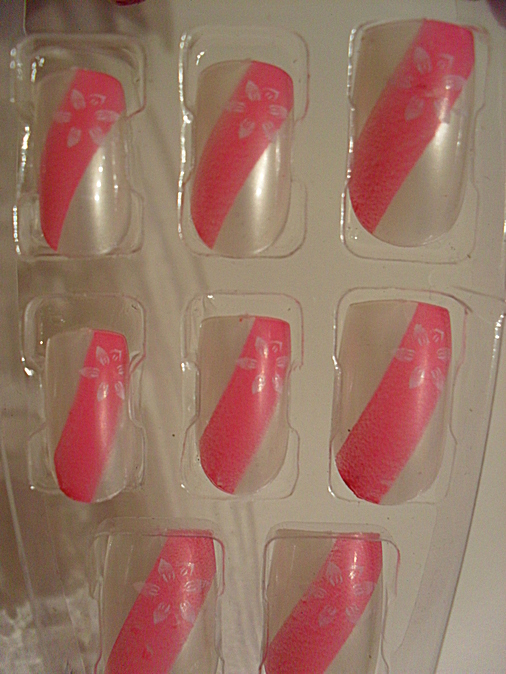 I also buy the cheap self adhesive nails to practice. I love the Hello Kitty jewlery! Yup, I love a good bargain me. Watch out Wilko's I'm coming for ya, lol!